We had another successful coach technical session at Xcel focusing on the yellow belt syllabus and different approaches to teaching the techniques. We will be having a refereeing refresher session in May prior to the competition in July. The Kata course which had been scheduled for 12 May has unfortunately been cancelled due to lack of interest. The Penfolds who were to facilitate the programme have kindly agreed to rearrange once we have agreed a date later in the year. Our new welcome pack is now being trialled for new members at Xcel. When you are ready, please let me know and we will send you the document which can be printed for your members. I thought I would let you know that my daughter, Jane, ran the London Marathon this year completing the course in well under five hours. Needless to say, I am very proud of her achievement. I am pleased to confirm that we have new classes starting at Dorking Leisure Centre on a Saturday afternoon and Belmont Preparatory School on a Friday afternoon. I hope that all the gradings and end of term competitions have gone well for you and that you are looking forward to the Easter break. 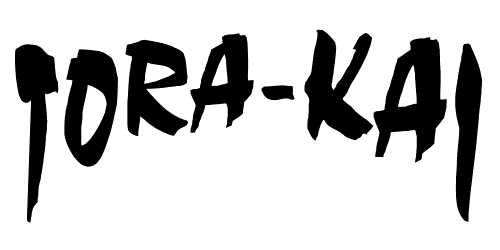 I am pleased to confirm that we will be holding a Kata workshop at Xcel on Saturday 12th May, from 10am to 3pm. Letters have been distributed for this, so if you have not yet received one, please let me know. These workshops are very popular and it is a great opportunity for the coaches and other black and brown belts within the club. As numbers are limited, it will be on a first come, first served basis. Yesterday (Sunday 25th) we had our First Aid course with St John Ambulance, so the ten people attending are now re-qualified for a further three years. The entry forms for the club championships on 1 July have now been distributed so we expect to be getting some returned after the Easter holidays. When you receive these back, please ensure that they are returned to me as soon as possible so as we can start working on the categories. We heard from Elmbridge Borough Council last week that we have been granted some funding towards purchasing some mats that will enable us to be more mobile with our taster sessions and external events. By way of a thank you, we have agreed to do some sessions for ‘Crossroads’, which is a group that provides activities for children with additional needs in Elmbridge. We have booked the Studio 2 at Xcel for our next coach’s session which will be on Friday 20th April, 6.30 to 7.30. Again, please come back to me with what you would like to practice or discuss. Attention judo coaches! Would you be interested in sharing judo resources. I am sure we have all got a few books or even DVDs that others might be interested in looking at. We could build a list of what we have available as a group and lend out to each other, perhaps using our franchisee meetings as the swap-around time. All books/DVDs would be marked with the name of the owner and it would be the responsibility of the borrower to return them. Clare has agreed to collate this, so if you are interested, please send your list to clare@torakaijudo.co.uk . Don’t forget to include name of book/DVD and author. Once collated, Clare will distribute the list. Draft letters have now been sent to all coaches and we are awaiting feedback before distributing them. We have added in a category for 13/14 year old blue and brown belts and we will see what the response is as to whether there will be enough for the competition. We are looking forward to our visit on Thursday to Croydon Judo Club. I will also be attending Mr Iura’s Kata course on 31 March/1April, so if anyone else is interested, please let me know. It is £40 for one day and £70 for the two. For all coaches and assistant coaches – don’t forget our technical session to be held this Friday at Xcel at 6.30. PLEASE bring suggestions with you of techniques you wish to revisit or refresh and this will be beneficial to all. Additionally, don’t forget to bring your First Aid kit as Lauren will check them and replenish as necessary. Do let me know if you can not attend. Coaches – please email me to let me know by this Friday (2nd) if you are interested in doing an event such as this in Scotland – I have only had confirmation from one or two of you. If there are enough then we can do a session purely for coaches, if not, we can look at doing a trip for coaches and opening it up to others later in the year and possibly doing something more locally, but I DO need to know soon. The date for this is now Sunday 19th August. We have confirmation from Wagamama’s that they will partner us in the event to possibly promote ‘A Taste of Japan’! We do need participants from the area, so coaches with schools in the Kingston borough, please start promoting this and getting commitment from the children and parents. We will give more information as soon as we have it. Sam has let us know that she is officially on the ‘long list’ for Team GB at London 2012. This is great news – we are awaiting the results of her competition in Poland this weekend as she is now fully fit to compete after her knee operation.